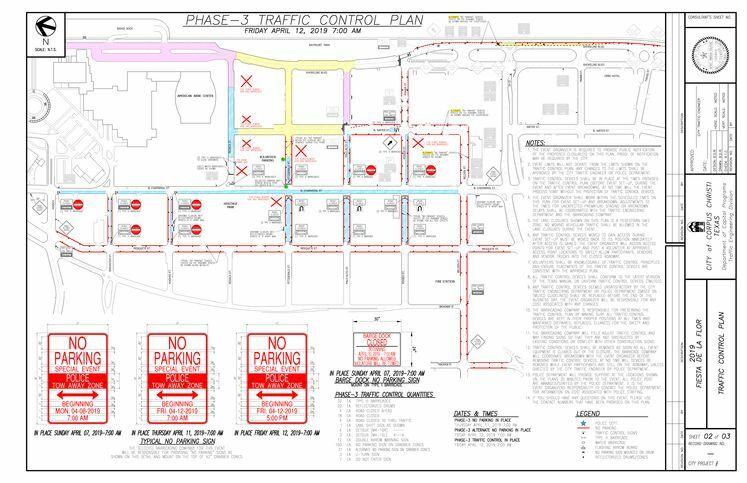 CORPUS CHRISTI, TX – The City of Corpus Christi Traffic Engineering office advises residents and businesses there will be traffic changes related to the Fiesta de la Flor event. 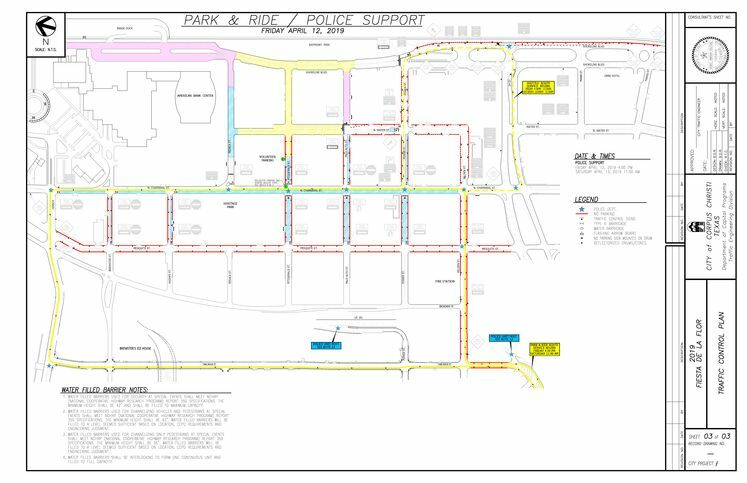 To accommodate set up and tear down, these changes will be phased in beginning on Monday April 8, 2019 and extending through the afternoon of Sunday, April 14, 2019. There are a number of changes and the best way to be informed is to look at the specific dates and the changes listed under those dates. Southbound IH 37 center and right lanes will be forced to turn right to Southbound Shoreline Boulevard and the left lane will be left open to allow access to Northbound Shoreline Boulevard. Northbound lanes of Shoreline Boulevard will be reduced to two lanes at Mann Street and then reduced to one lane at IH-37. North & Southbound lanes of Shoreline Boulevard will be closed between Resaca Street & Power Street. North & Southbound lanes of Water Street will be closed between Resaca Street & Palo Alto Street. East & Westbound lanes of Fitzgerald Street will be closed between N. Chaparral Street & Shoreline Boulevard. North & Southbound lanes of Shoreline Boulevard will be closed between the Art Museum & Power Street. Barge Dock access will be closed. East & Westbound lanes of Resaca Street will be closed between N. Water Street & Shoreline Boulevard to thru traffic. Only local traffic will be allowed through the closure. East & Westbound lanes of Palo Alto Street will be closed between N. Water Street & Shoreline Boulevard. Northbound lane of Water Street, between Power Street and Palo Alto Street, will be closed to thru traffic. Only local traffic will be allowed through the closure. East & Westbound lanes of Resaca Street will be closed at Chaparral Street. East and Westbound lanes of Palo Alto Street will be closed between N. Water Street and Shoreline Boulevard. Eastbound Palo Alto Street will be closed at Chaparral Street, between Chaparral Street & Water Street. Eastbound lane of Power Street will be closed at Chaparral Street, between Chaparral Street and Water Street. East & Westbound lanes of Power Street, Palo Alto Street & Fitzgerald Street will be closed between Mesquite Street & Chaparral Street. Eastbound lanes of Hughes Street & Brewster’s Street will be closed at Mesquite Street, between Mesquite Street and Chaparral Street. 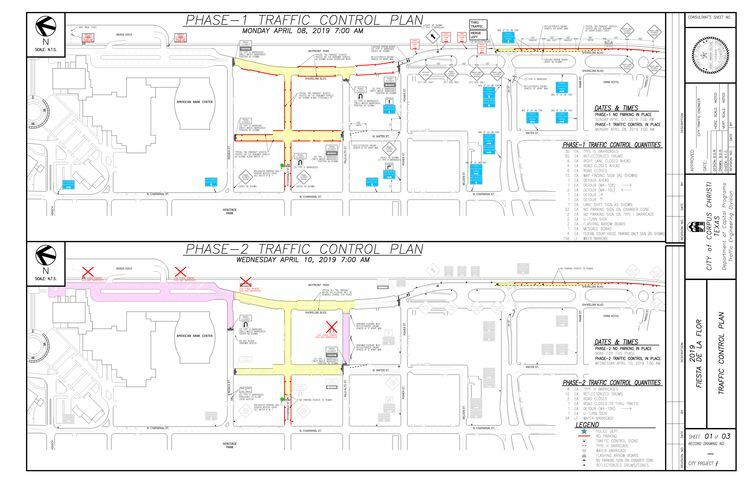 For more information, please contact Traffic Engineering at 361-826-3547.